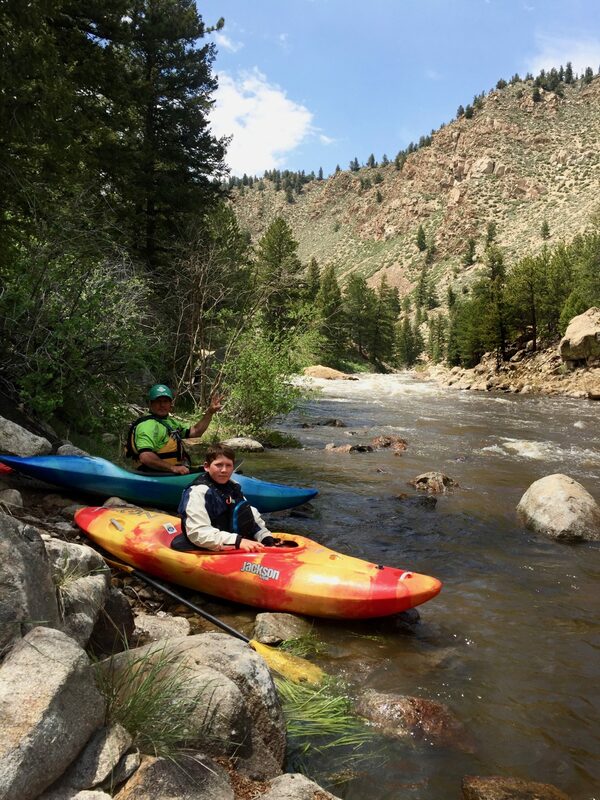 CKS Paddlefest was our first stop in Colorado and is an AMAZING family friendly festival in Buena Vista, Colorado, just west of Denver. 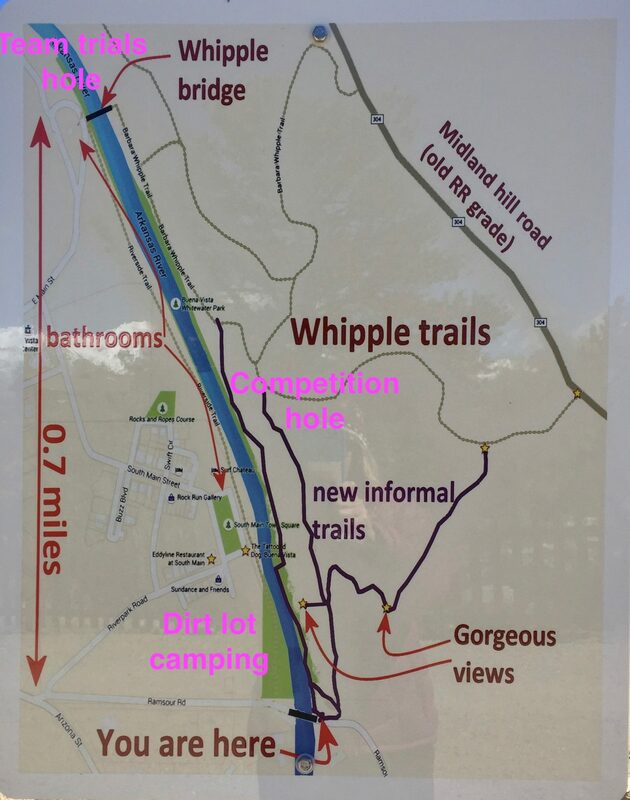 It runs over Memorial Day Weekend and has kayaking, SUPing, mountain biking, running and climbing activities along with live music and great food. It is based out of an area called “South Main” which is a new community that is being developed right beside the Arkansas River. 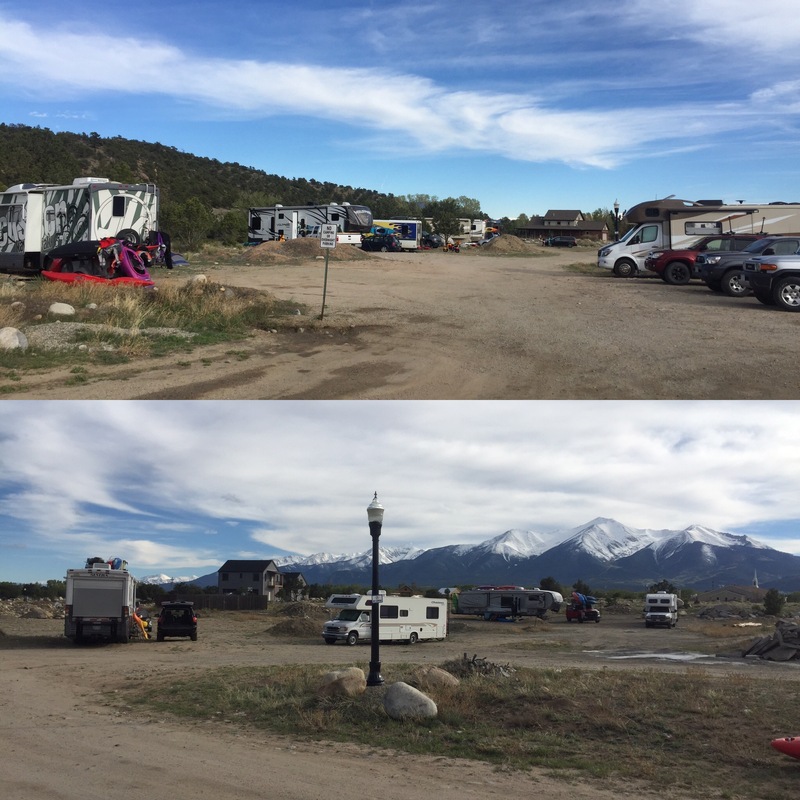 At the moment there is a HUGE dirt parking lot at the south end of South Main and it filled up with well over 50 RV’s, campers, trucks and tents (photo above is from 4 days prior to the festival). It grew over the course of the week that we were there, and there were very few open spaces come festival weekend. 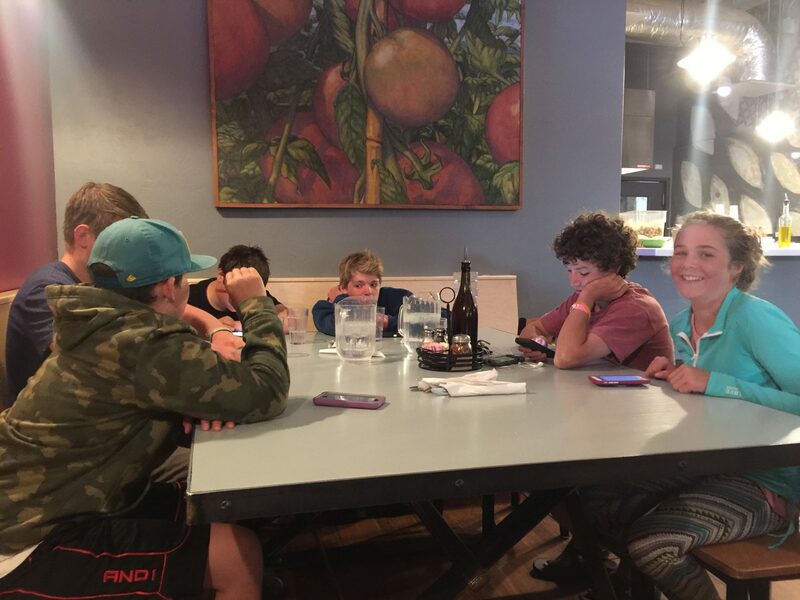 The best part was the friendly sense of community – both kids and dogs ran free and there were no complaints or grumblings by anyone. 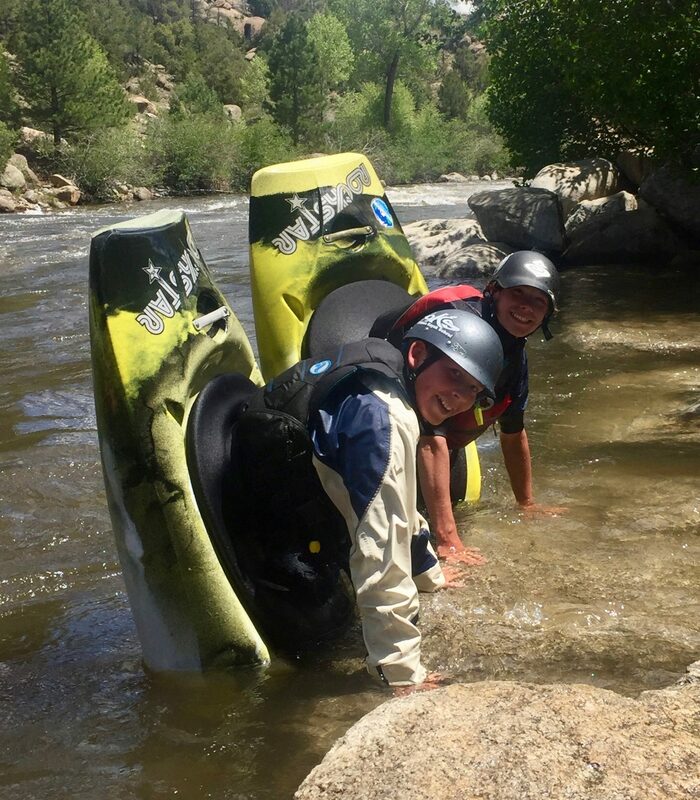 The Buena Vista Whitewater park runs over the length of 1km and has a number of different holes and waves, with something for everyone. There is a big hole at the top where the US Team trials were held, a nice SUP surf wave that most of the SUP events were based out of, the “competition hole” where the main rodeo was held and then a nice bouncy surf wave that was great fun to play on. 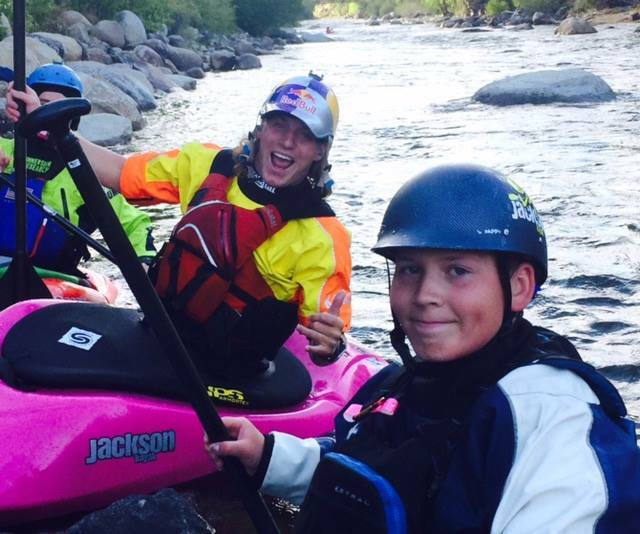 Hunter signed up to compete in freestyle in both K1 and C1 in the cadet class. 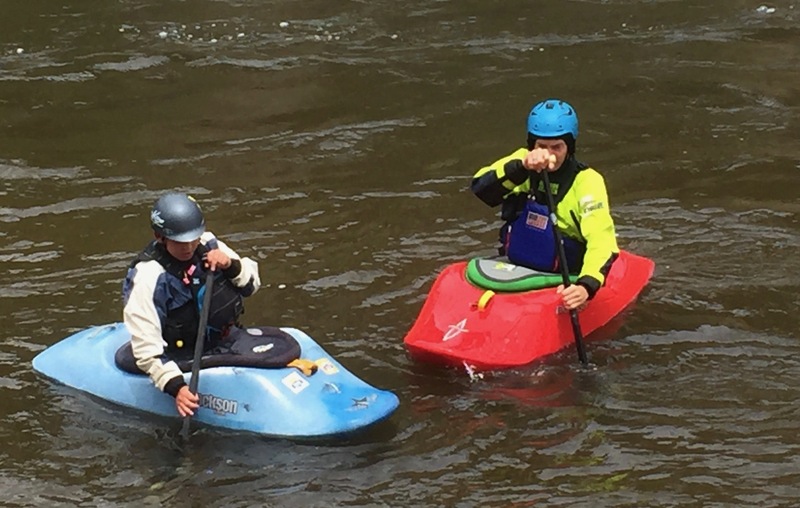 Unfortunately there were no other cadet C1 paddlers and only 1 junior C1 paddlers so they created a C1 open category, which meant Hunter plus a junior plus 4 very senior men… like world champion senior! 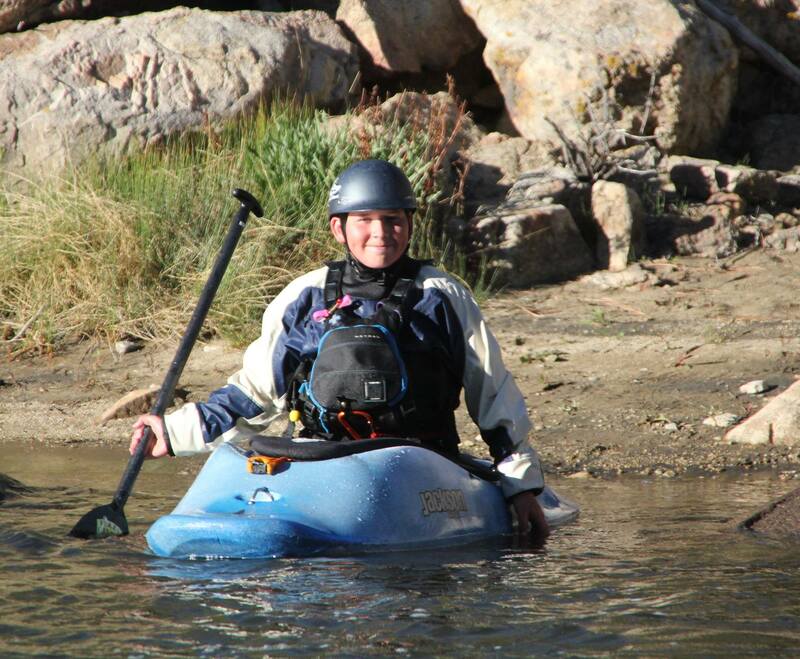 I was really proud of him choosing the compete in the open category and he was inspired by what he saw these paddlers do. Needless to say, he finished 6th but it was a great learning experience. Hunter made the finals and came 5th overall in the Cadet class for K1 and gained a lot of competition experience. He now has a great sense of what tricks he needs to learn and lots of good tips and tricks for learning them. Because US Freestyle team trials were a few days after CKS Paddlefest, there were a lot of paddlers in town for the week prior to the festival and the week after. This meant that there was always someone to go and play at the hole with or take a run down the local river runs of the Arkansas River. It was fabulous for the parents that the kids could just grab a buddy and walk down the path to paddle. 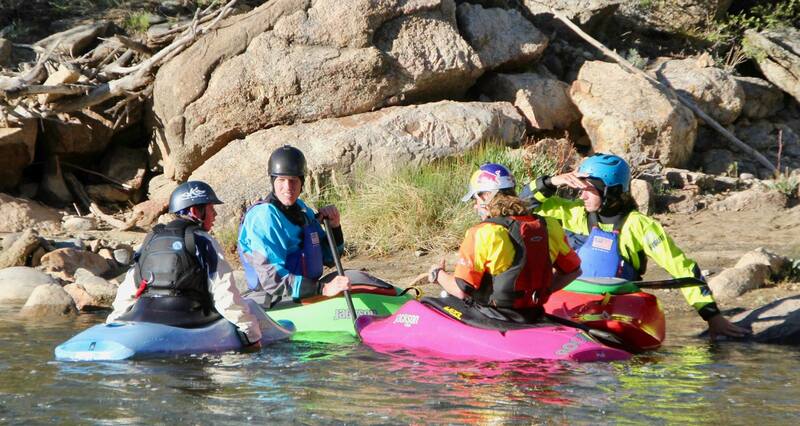 We were also able to take advantage of the senior paddlers to learn from. Tad Dennis was very generous and gave Hunter tips and tricks for C1 rolling and Nick Troutman helped us with feedback on Hunter’s loop. 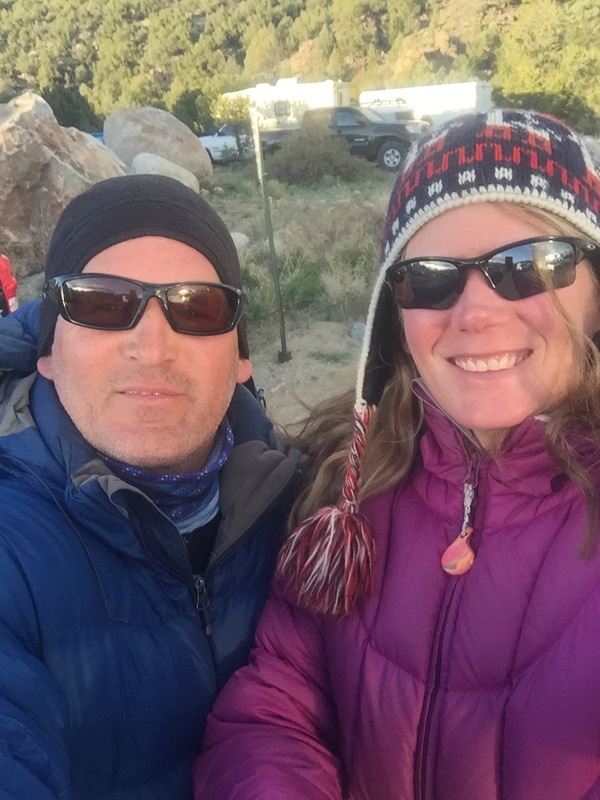 The kayak community is so friendly and helpful! 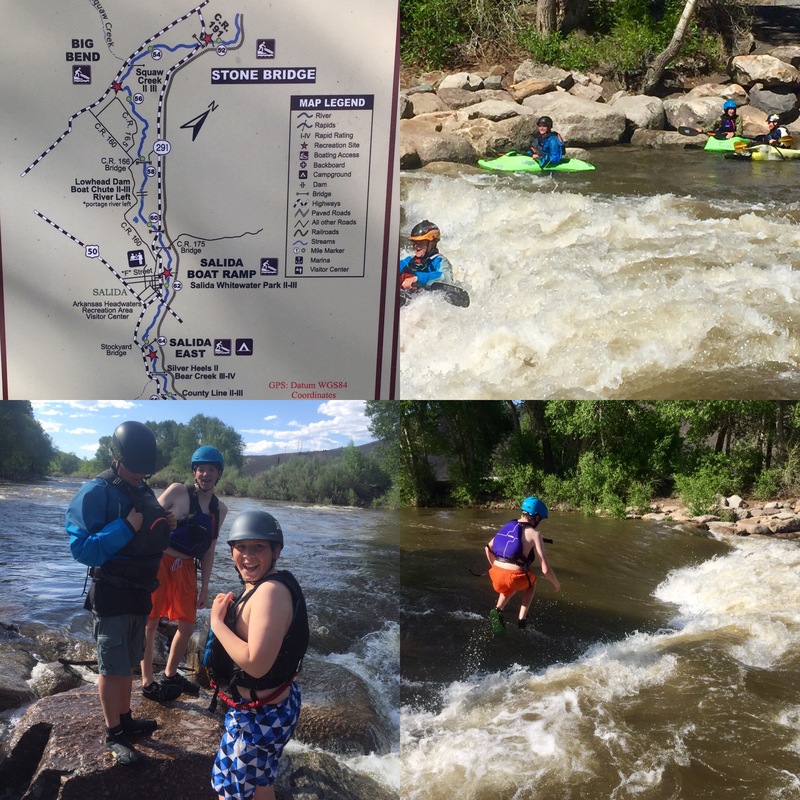 We took advantage of being based in Buena Vista to also explore the southern sections of the Arkansas River like the Milk Run and Brown’s Canyon as well as the Salida Whitewater Park. 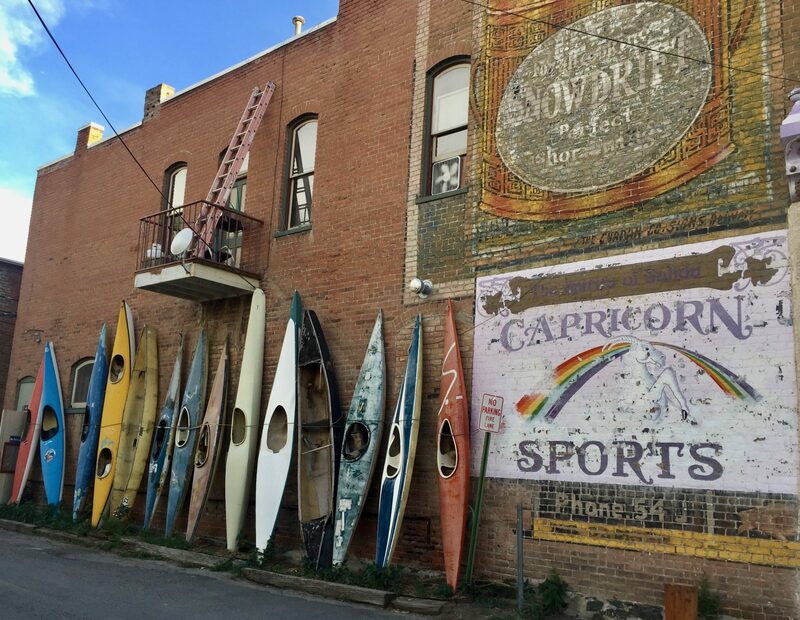 Salida is another great mountain town with a busy, active vibe. They have a great town presence right along the river and are the host of the FiBARK festival in mid June. 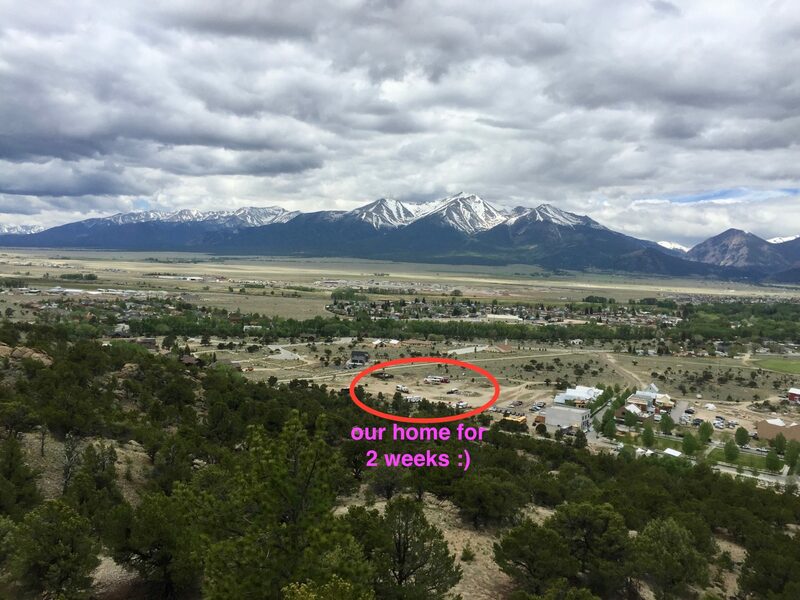 Our first two weeks in Colorado have been a whirlwind with something happening almost every day. We’ve also experienced every possible weather scenario and worn clothing to represent every season. 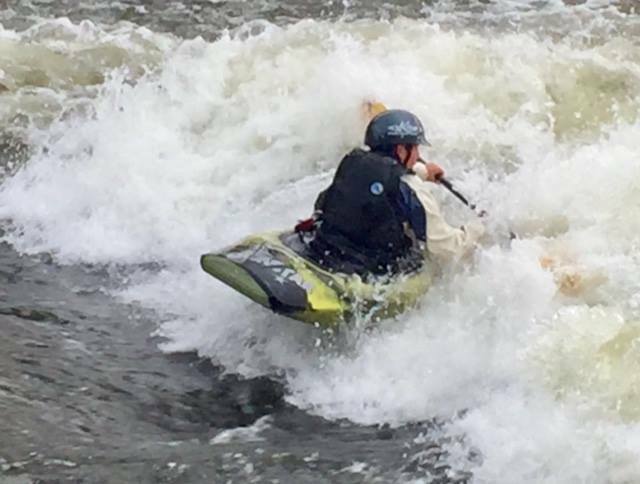 We’ve barely scratched the surface for local adventures along the Arkansas water shed and look forward to coming back again next year to play some more!